Weighing 135 grams, the Swift measures 141.15 x 71 x 9.37 mm and is available in Sandstone Black. The Swift features a removable back and a removable 2500mAh battery. 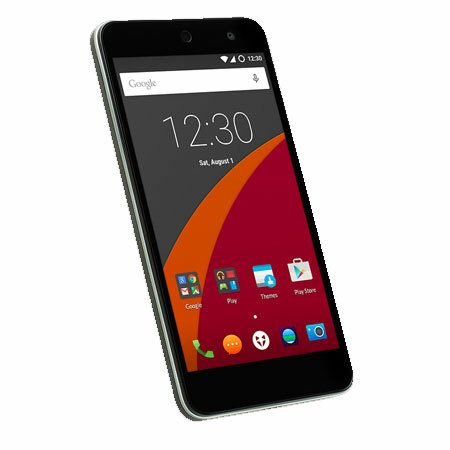 The back of the device has a matte finish embossed with the Wileyfox fox head logo with orange highlights around the camera lens. With an emphasis on privacy, the Swift has the ability to scramble PIN numbers and features Privacy Guard which allows you to control permissions for every phone app. The 5 inch HD display on the Swift has a resolution of 1280 x 720 and a pixel density of 294 delivering excellent picture quality and sharp text. Protected by Corning Gorilla Glass 3, the crystal clear display has 10 point multi touch glove mode functionality. The great quality screen produces good contrast and colour reproduction. With Dual SIM for more flexibility and 4G LTE connectivity giving download speeds of up to 150mbps, the Swift with its Qualcomm Snapdragon 400 chipset will keep you connected when on the move. 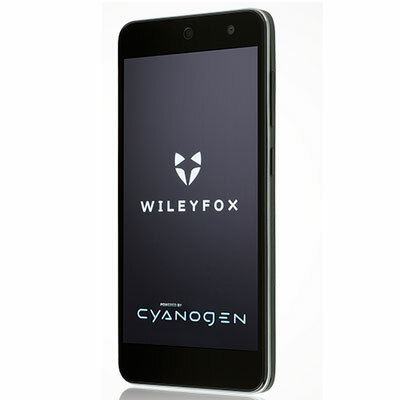 With the latest version of Cyanogen 12.1 OS, the device has 2GB RAM and 16GB of internal memory expandable via microSD card to 32GB. The device comes with Wi-Fi, Bluetooth 4.0 LE, A-GPS and radio.